Pipboy is now on your Gear S3. 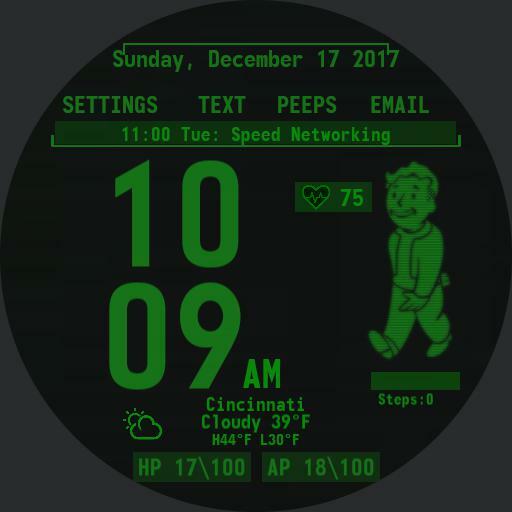 A beautiful and useful Fallout 4 inspired watchface. - Timer and Spotify can be easily downloaded. from the Galaxy Store Gear section.